The House of Culture of Cajamarca is created based RD No. 116 of August 23, 1965. Began its work on 25 August of the same year, with the first principal in an honorary capacity Dr. Jesus Antonio Peña Aranda. In 1971 the House of Culture Cajamarca became the National Institute of Culture-INC-Cajamarca. From 2010, he became the Regional Culture Directorate of Cajamarca. 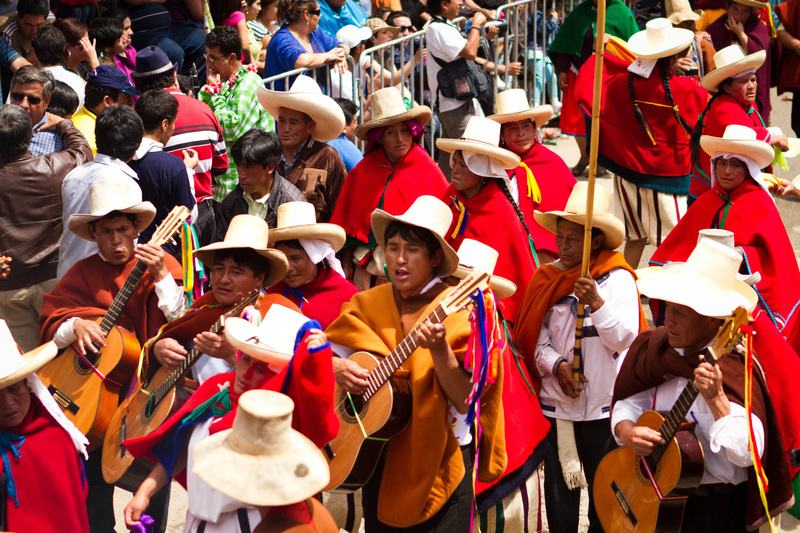 The Decentralized Culture Management of Cajamarca has three areas: Archaeology, Architecture, Cultural Promotion and encouragement of the Arts. It also has Administration offices and Legal Services as supporting entitys. The area of Archaeology is responsible for the protection and preservation of historical and cultural heritage, the implementation and monitoring of conservation projects, research and rescue sites and monuments. 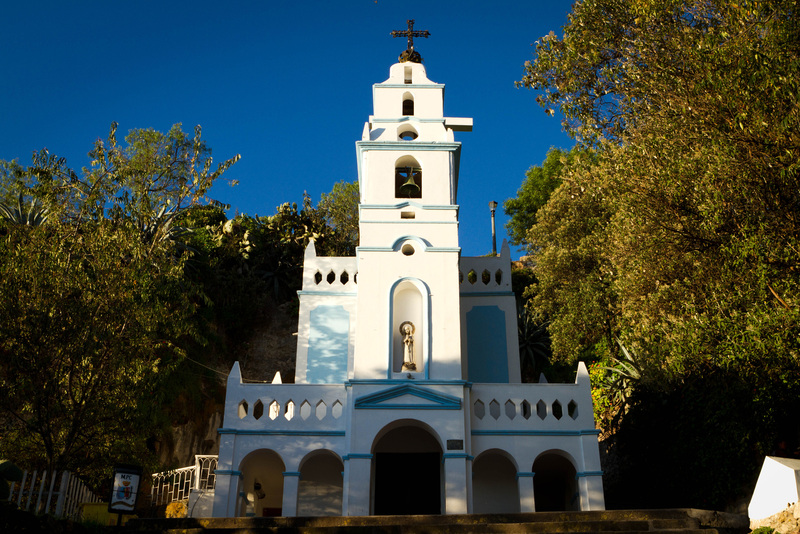 Performs inventory, registration and declaration of cultural historic sites and monuments. 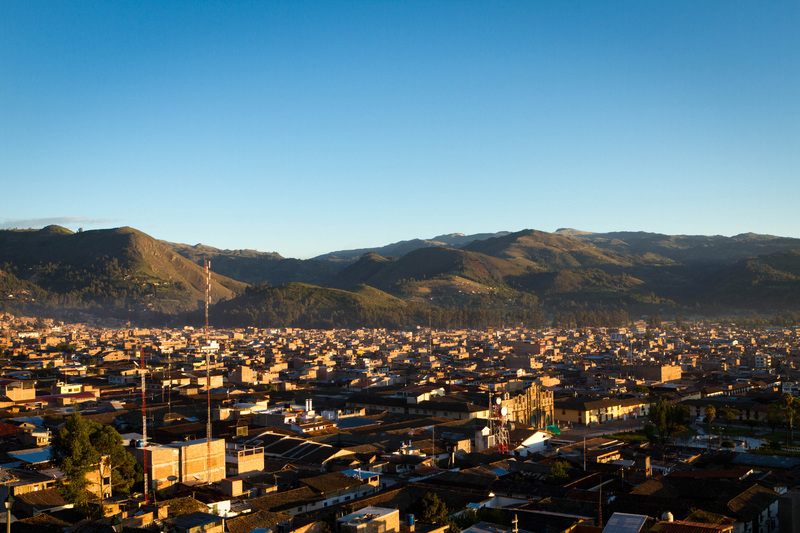 This area is responsible for providing advice and information on the development of projects in the historic area of Cajamarca, controlling predation in the historical center area of heritage value. They are responsible for preserving and conserving the monuments, promote the participation of the public and private sectors in the activities of protection, conservation and enhancement of heritage. It also seeks to modernize and speed up the research process, registration, and enhancement of cultural heritage. This area has the function of planning, organizing cultural events and activities that enable the development of culture in the region. Identifies and supports local artists and, provincial and regional arts groups, to carry out their work presentations. In the same way, promotes the dissemination and promotion of cultural activities and museums, library and bookstore. There has been an interagency working which results have been obtained for the conservation and protection of heritage: Ranson Room Chamber Project, Cumbe Mayo proyect, Huaca Laizón Project and Monumental Bethlehm complex Project . Strengthening the cultural integration of the region through cultural volunteers. "The culture close to you" (traveling exhibition of art and cultural exchange). Festivals: The Bugler of Cajamarca, My Land Dancing, poetry, theater and visual arts. Courses, workshops, seminars and talks, conservation and heritage protection. It is a pre-Hispanic cemetery that houses more than 300 tombs have been looted from the colonial era. Currently there any intact investigated, preserved and guarded by the Ministry of Culture. It is built on top of a hill known as La Copa; include staggered platforms, set of rooms runs a sunken quadrangle with four staircases decorated monoliths in the last step and funerary structures. Data Lower Formative Period and is located in the province of San Pablo. In Quechua, Kuntur Wasi means "House of the Condor." It has a history of 1000 years a.c. corresponding to the Formative Period. It is a unique work of its kind in the Andean hydrology, the purpose of its construction was to supply water to the population center of the ancient Cajamarca, located in the foothills of Cumbe mountain, crossing the continental divide with the drift of the waters of the Pacific coast to the Atlantic. 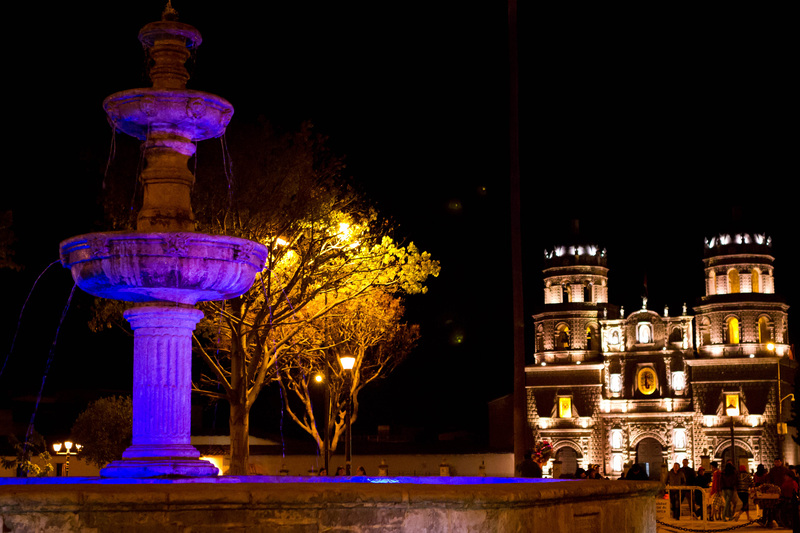 It is the most important set of Cajamarca colonial architecture, built between the seventeenth and eighteenth centuries. It consists of the Church of Bethlehem Hospital street by Men and Women's Hospital. In 1677 it was administered by the Betlehemita Order and for over 350 years was the only center of Christian hospitality and social service in Cajamarca. 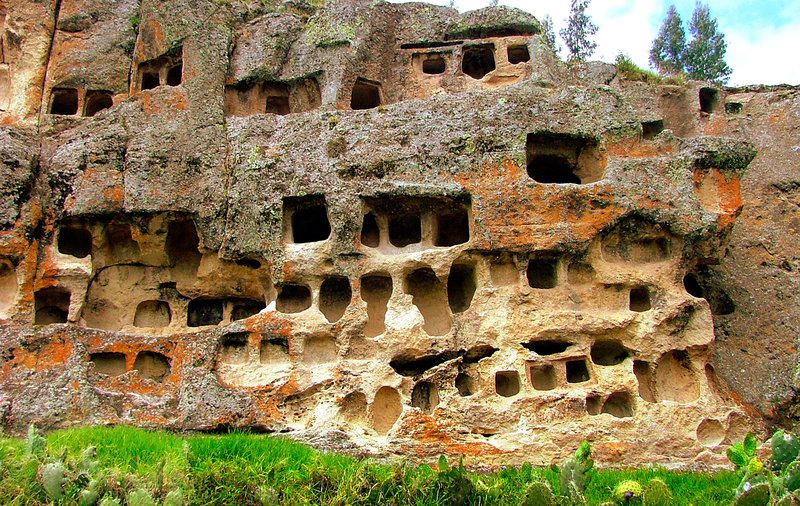 The Ransom Room is the only Inca vestige that exists in Cajamarca. The Inca Atahualpa was captured there by the conquistador Francisco Pizarro. Atahualpa knew the greed of Hispanics for precious metals and offered in exchange for his freedom, this room covered with gold and silver objects.